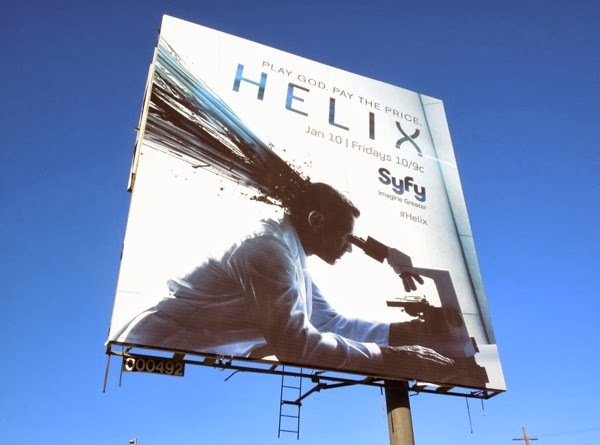 Never has looking into a microscope been so dangerous. 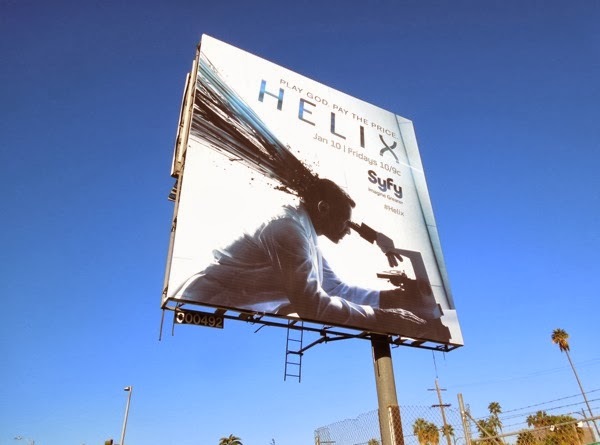 They often say that science can be mind-blowing, and it looks like Syfy has taken that old adage quite literally with their key art for their new series Helix. 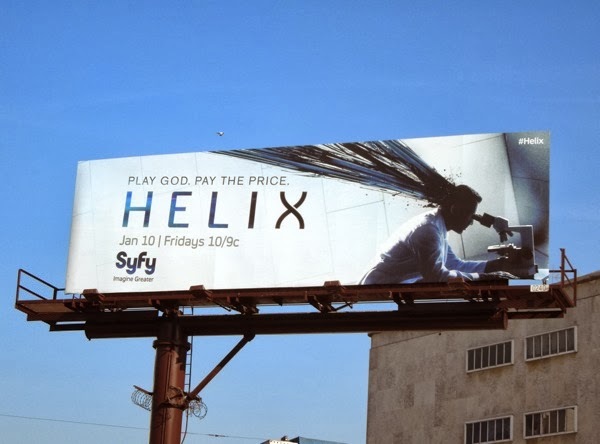 This cool billboard with the ominous tagline 'Play God. 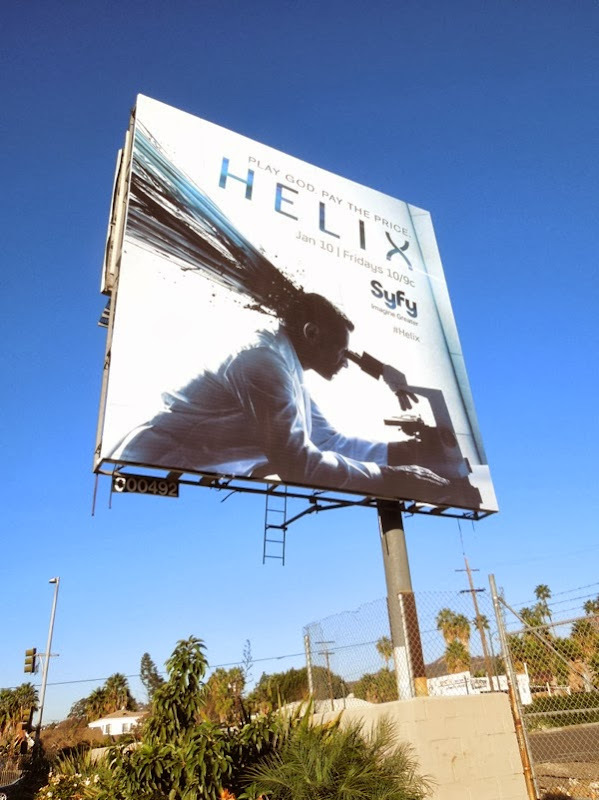 Pay the price' is for the new original sci-fi thriller from Executive Producer Ron Moore, infamous for the likes of the Battlestar Galactica revival and various Star Trek series. 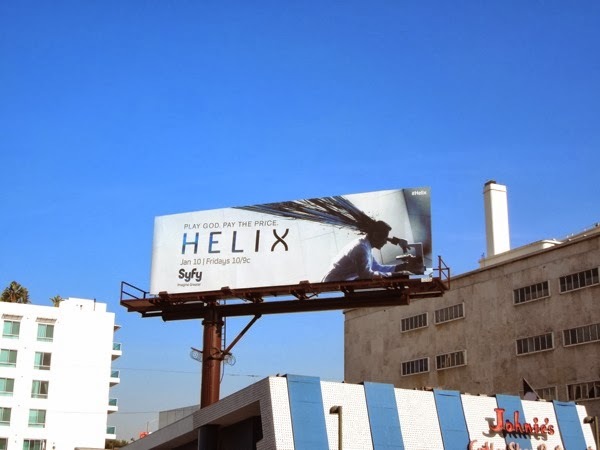 In the show a team of scientists from the Center for Disease Control venture to the Arctic to a remote research facility to investigate a possible viral outbreak, what they uncover may lead to mankind's salvation or utter annihilation. 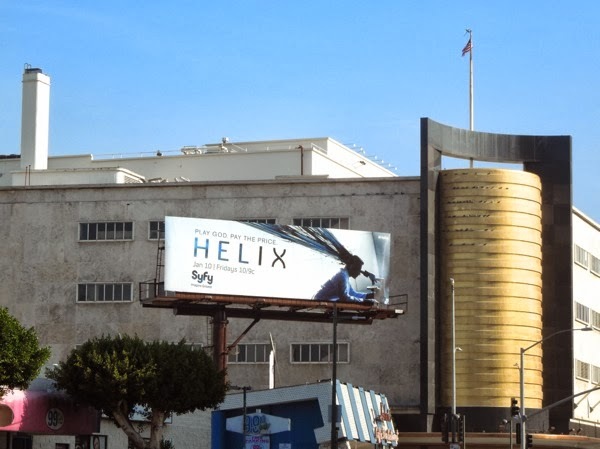 This arresting Helix billboard, with some black gooey mess violently shooting out the back of someone's head, was snapped along Fountain Avenue in Hollywood on December 28, 2013, plus a standard landscape version was spotted along Wilshire Boulevard on January 10, 2014. 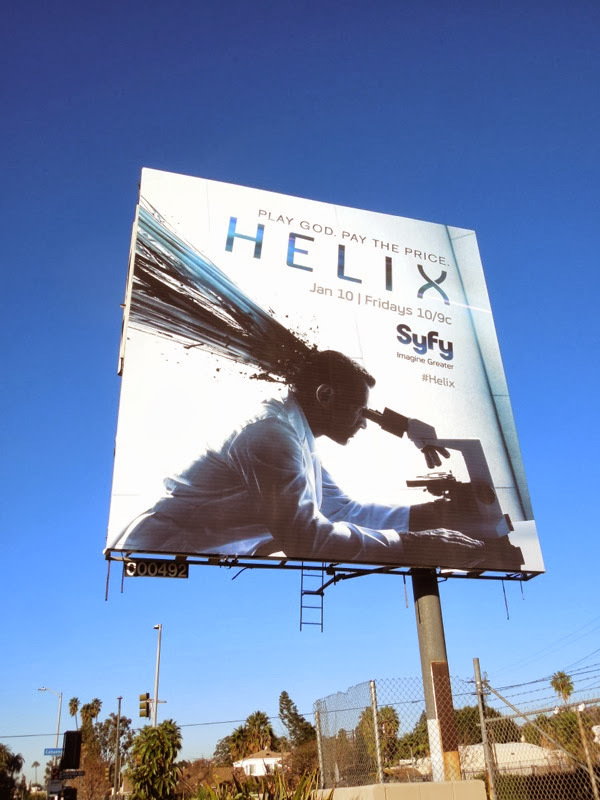 If you like this creative, be sure to check out more Syfy ad campaigns here at Daily Billboard.